Dallas Proposals | Planning For Dudes - We help dudes plan their proposals. You’ve planned out your whole proposal. You’ve made sure her friends and family have kept their mouths shut. You’ve deleted e-mails, texts, any evidence about the proposal. 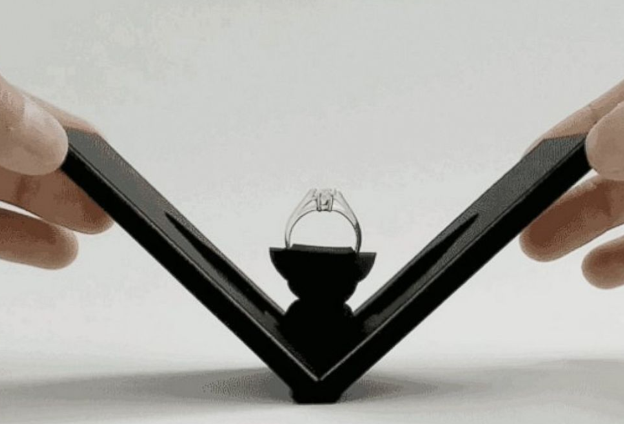 And then you leave for the big night with your soon to be fiance with a huge, bulky ring box in your pocket that screams to the world and to your girlfriend that you plan on proposing tonight! Not so sneaky after all of your hard work! A packaging designer from Vancouver has solved this issue with the Clifton ring box! This new design allows you to have the ring in your pocket all night, without spoiling the surprise! 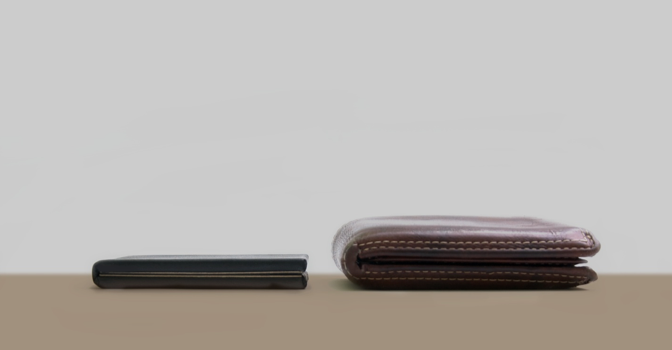 The box can fit in your pocket, or even into your wallet. 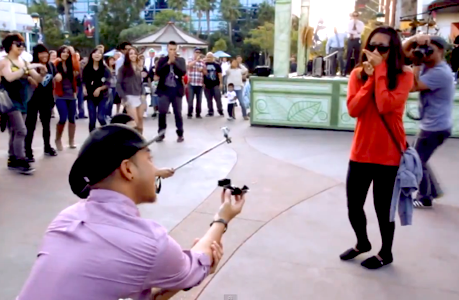 With Pinterest, Facebook and all other sorts of social media mediums, proposals have become a very public thing. You come across the movie theater rentals, flash mobs, and other very public proposals where numerous others gather around the proposal whether the couple knows them or not. We see nothing wrong with these public displays of affection, unless your future fiancé does! Every single proposal should be different, and that is simply because your relationship is unique and special in its own right. One of our couples took ALL of their pictures from their engagement that we helped with and turned it into their Save The Date. We loved it so much that we wanted to share it with you…. Just another reason you should hire a photographer for your proposal… oh and us of course! Save The Date from Shaun Menary on Vimeo. 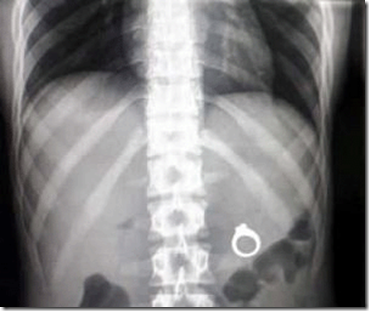 There are three reasons why I feel you shouldn’t hide your engagement ring in food, and I have explained below…. 1. It is GROSS – I personally wouldn’t want to pull my brand new sparkly ring out of a cupcake. I wouldn’t want to have crumbs, sticky icing, and sprinkles stuck to my ring that I am about to show off to just about everyone. Take it from me… Just don’t do it. 2. It could get lost – If you plan on proposing at a restaurant, and you think that maybe you could give it to the chef to put on the plate or in a drink… What happens if there is another proposal going on in the same restaurant and that dude had the same bright idea you did? What happens if the rings get mixed up? You, my friend will not be happy when some other dude’s girlfriend gets your ring that you just spent a ton of time shopping for…. 3. She could swallow it – You may think I’m crazy, but it has definitely happened before. 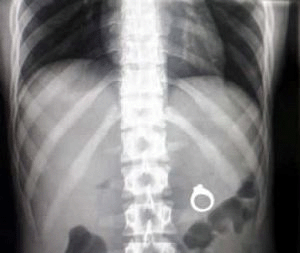 A boyfriend stuck the engagement ring in a Wendy’s frosty and his girlfriend swallowed the ring without even knowing it… Their evening ended in a trip to the emergency room and the ring finally arriving the next day, if you know what I mean…. When you are ready to propose just remember to think through the logistics or go ahead and give us a call and we will do it for you!